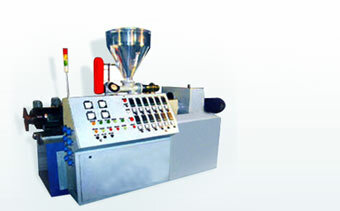 We present PPR Pipe Production Line which is used for fabricating PPR pipes. The adhesions of PPR pipes are firm and do not affect the inner diameter. In the three layer PPR pipe, the inner layer is anti bacterial and the outer layer in UV (ultra Violet) rays resistant layer. It does not absorb water, therefore may be safely used in hot temperatures and humid climates. 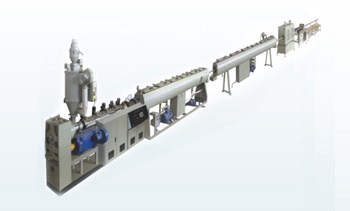 PPR Pipe Extruder Plant designed and manufactured by us find application in the fabrication of PPR pipes that allow firmer adhesions which also at the same time do not affect inner diameters. These extruder plants are designed to produce quality water supply pipes used in construction as well as in building other hot/cold water based applications including in centralized heating systems. 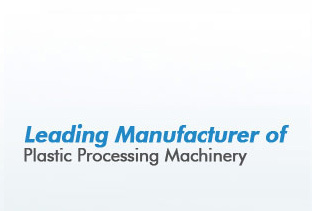 PPR pipes feature better resistance from heat with maximum working temperatures of 95 0C. Further, these pipes are also highly preferred for water supply and drainage based applications and can be delivered in required construction specifications.